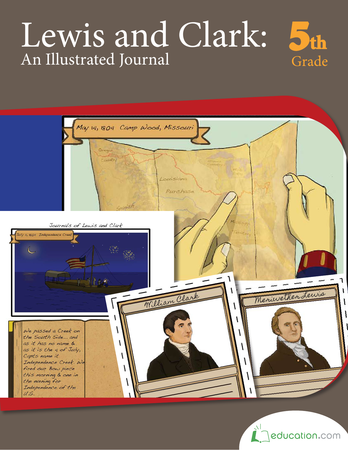 If your child thinks camping in an RV is "roughing it", just wait until he hears what Lewis and Clark went through! These two explorers and their team set out to discover the western frontier and find the Pacific Ocean. They did, and found out many new things along the way. Learn more about these two in this Historical Heroes worksheet. Chart the route that Lewis, Clark and their crew took on their great journey to the Pacific Ocean! You may not realize how many beloved books and award-winning movies are historical fiction. Get a taste of historical fiction and try writing some yourself. Use this worksheet to show how historical maps reflect what people thought of the world long ago. Sort through the odds and ends in this mixed-up lost and found and match them to the famous historical figure they're most associated with.